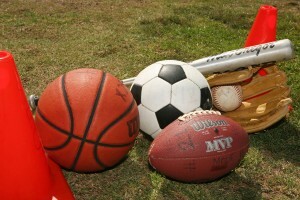 Extracurricular Activities – When is it too Much? With four kids in the house, it’s a constant balancing act between shuttling them to and from their extracurricular activities and making sure that they complete their school work. Whether it be gymnastics, dance, karate, music, or whatever else might pop up it’s hard to keep track of who’s doing what anymore. I’m never quite sure if the extracurricular activities are burning them out or if they’re not being challenged enough. Of course other worries pop into my head like, are they getting enough sleep, study time, and the proper nutrition? With that being said, I know there are significant benefits to letting them participate in extracurricular activities such as improving their confidence, teaching them discipline, keeping them out of trouble, and many others. Those experiences made me want to compensate for my childhood and give my children as many opportunities as possible. Having grown up in a family where money was very tight, I never really had the opportunity to pursue guitar lessons or play on any little league teams. My parents made it clear that they couldn’t afford it and that it wasn’t an option. Those experiences made me want to compensate for my childhood and give my children as many opportunities as possible. My only concern was that I didn’t want to over schedule them like I’d seen some of my friends do. Having made plenty of mistakes with my oldest child and yes, it does happen to all of you inquisitive firstborns out there, I’m more equipped with what will and will not work for my children. For the past two years, my second daughter, who’s eight years-old, was taking piano lessons and gymnastics once a week for an hour after school. Recently she excelled in gymnastics and was invited to join the team. This would entail an additional seven hours of practice per week. While we were flattered, after speaking with her and explaining the commitment it required, she chose to not pursue it. We supported her decision and felt that as long as she kept up her end of the bargain, she could decide how she wanted to spend her time. Since the personalities of each of our children differ greatly, it’s hard to have a set standard for all of them. As a matter of fact, it’s sometimes hard for me to believe that they came from the same parents. None the less, the factors we consider include our child’s attention span, the time of day for the activity, their current school performance, and our financial responsibility. If all of those fall into place and we can do it, then we allow our children to decide. Keep in mind that while some extracurricular activities are expensive, there are many which are free or cost a nominal fee. A good start would be to ask other parents and staff at your children’s school for their recommendations. Your children will often tell you what they want to pursue or you can give them ideas of what’s out there. Other resources may be found at recreational centers, YMCA, Boys or Girls Clubs/Scouts, places of worship, and law enforcement agencies who offer Jr. Explorer programs. Regardless of what you choose, you should try to attend their first meeting to observe the environment and make sure it’s a good fit. Keeping an eye on their school progress, fatigue, social skills development, and overall mood will help you prevent sensory overload.